Woodard Hypnosis and Research, Inc. Pass it On! Knowledge is For Sharing! Memberships: American Board of Hypnotherapy, APA - American Psychological Association, Division 30 APA - Psychological Hypnosis, Society for Scientific Exploration, DBHRT - New Hampshire Disaster Behavioral Health Response Team, New Hampshire Psychological Association, and American Canadian Genealogical Society. Dr. Woodard offers a variety of therapeutic services, such as, psychotherapy, clinical hypnotherapy including pain management, stress management and assertiveness training for those who have problems in daily living, emotional suffering, interpersonal conflicts, panic, depression, post-traumatic stress, and anxiety and other problems. He uses cognitive behavioral therapy, psychodynamic therapy and humanistic techniques to counseling. Dr. Woodard also emphasizes your personal spirituality in conducting sessions when desired. Psychotherapy aids in self growth and improvement. Clinical Hypnotherapy expands your hidden potentials; breaks bad habits; enhances relaxation; lose weight; boost motivation, improve confidence, develop assertiveness; expand creativity; improve learning, enhance memory, improve concentration, develop better test taking abilities; improve sports performance [cheer-leading, baseball, basketball, golf, etc] and much more. All of this enhances a positive and healthy physical body. Dr. Woodard addresses a variety of mental health, emotional and behavioral issues. Psychotherapy and hypnosis are ways to help you become aware of the many external and internal influences that affect you everyday in your life. The goal is to become able to use your self awareness through psychotherapy and/or your self hypnosis skills whenever you see fit to improve your life and your relationships. Dr. Woodard's services are HIPPA compliant. ~ Licensed & Clinical Psychologist ~ Doctor of Philosophy in Clinical Psychology - (PhD); & Doctor of Clinical Hypnotherapy - (DCH) Registered & Certified Hypnotherapist, Parapsychologist. Most major insurances are accepted: Aetna, Blue Cross- Blue Shield PPO, Indemnities, Blue Card, Matthew Thorton, HMO; Cigna, CHAMPVA, First Health/CNN, Harvard Pilgrim, Maine Community Health Options, Martin's Point, Medicaid (Well- Sense, Xerox, Cenpatico, Ambetter), Medicare Part B, Optum, PCHS, Tricare, Tufts Health Plan, Value Options, UniCare, United Behavioral Health, United Health Care, Veteran's Choice Program and others. Nonpsychological Hypnotherapy: Intake- $100.00; hypnotherapy session - $100.00, Two-person Hypnotherapy - $150.00 / hr. Dr. Woodard offers psychological services to individuals and families. Dr. Woodard works with children, teenagers, adults and the elderly. 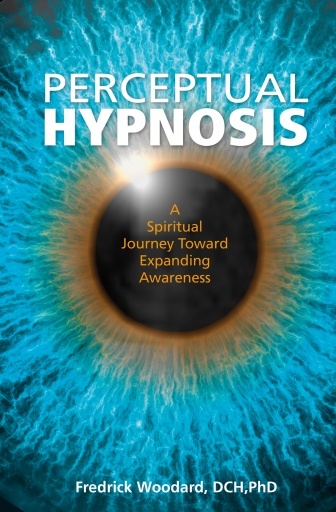 *Perceptual Hypnosis: A Spiritual Journey Toward Expanding Awareness. June, 2017, Schiffer Publishing LTD, Atglen, PA.
Case of Invisible Girl. Psychological Reports October, 2014, October, 115, 545-564.
century sample of normal people. Psychological Reports, 2012 Feb; 110, 73-132. *Response to Beshai's "Quantitative and qualitative research in hypnosis: comment on Woodard". *Perceptually oriented hypnosis: cross-cultural perspectives. Psychol Rep. 2005 Aug;97(1):141-57. *A phenomenological and perceptual research methodology for understanding hypnotic experiencing. Psychol Rep. 2004 Dec;95(3 Pt 1):887-904. Hypnosis. Psychological Reports, 94, 955-966. *Phenomenological contributions to understanding hypnosis: Review of the literature. Psychol Rep.
*Perceptually oriented hypnosis. Psychol Rep. 2003 Apr;92(2):515-28. *Hypnosis and phenomenological-perceptual psychology. J Clin Psychol. 1996 Mar;52(2):209-18. Review. Erratum in: J Clin Psychol 1996 May;52(3):373.